Avail Solutions range of Sectional Garage Doors are fully insulated, robust, secure and have designs to suit both traditional and contemporary properties. 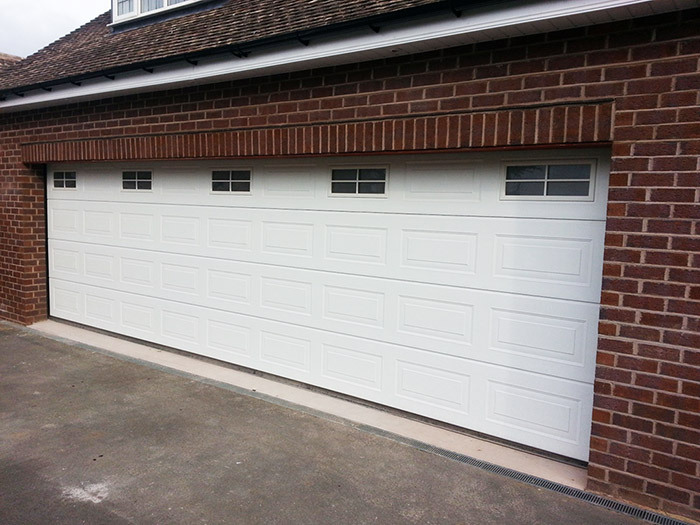 Our recommended range of sectional garage doors all carry a comprehensive Warranty. 10 Year factory warranty on floor seals- intermediate seals, side seals and lintel seal against rotting. 10 Year factory warranty on materials and manufacturing faults of non-moving parts of the frame that are that are verifiable unusable or whose usability is substantially compromised. 10 Year factory warranty against door panel separation of steel from foam. 10 Year factory warranty on panels against rust penetration from inside to outside. 5 Year warranty on rollers, hinges, cable pulleys, cables and standard springs. 10 year factory warranty on high performance springs. Ease of use with various remote control options. Wide range of colours, designs and glazing options. Low headroom space requirement compared to other manufacturers. Outstanding thermal insulation and strength due to 40mm high performance sections. Certified intruders resistance due to intruder resistant technology. Wind and weatherproof because of durable EPDM rubber seal profiles. Impervious roller coated high quality paint systems resist external influences. Patented finger protection, protects against injury making the sectional door extremely safe. Quiet door operation provides easy opening and closing. Sectional Doors up to 8 metre wide. 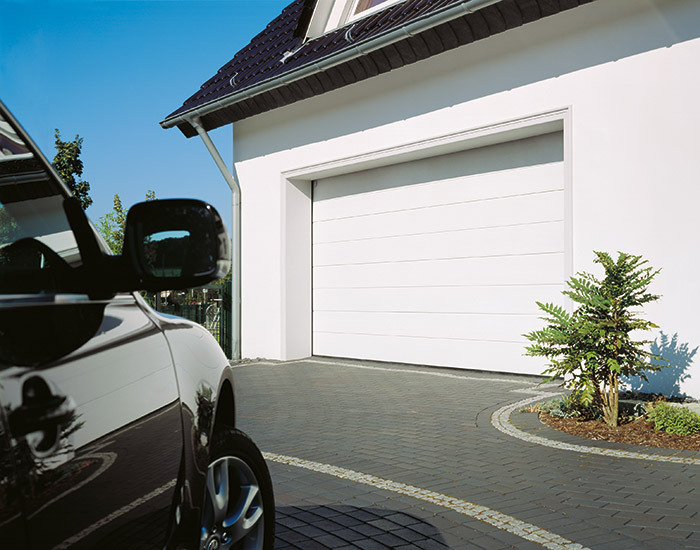 Avail Solutions are sectional garage door installers covering Birmingham, Stourbridge, Dudley, Halesowen, Edgbaston, Harborne, Hagley, Bromsgrove, Kidderminster, Wolverhampton, Romsley and Clent. 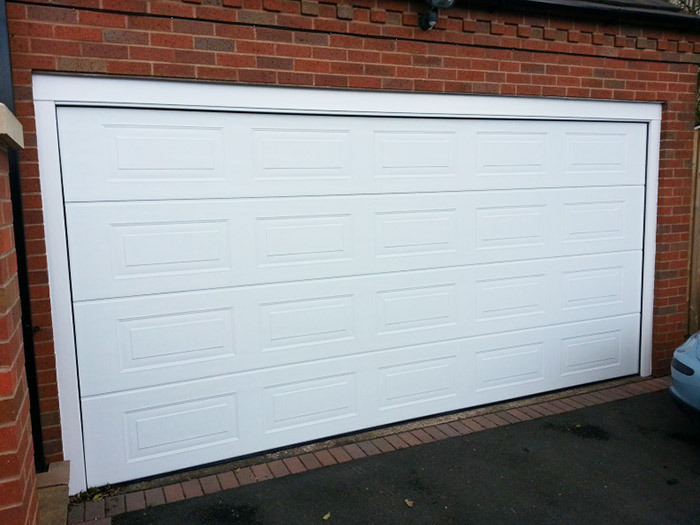 For more information regarding our sectional garage doors please contact Matt by telephone or via our online enquiry form.